HomeBlog ClassicConnecticut Insurance AgencyWhy Do You Need Life Insurance? For many, life insurance is considered either an unnecessary expense or just not needed. Yet, it should be considered as a core component of a family’s financial plan. Life insurance is not only a way to protect your loved ones, but is also an essential investment to protect your assets. Even if you aren’t supporting a family, life insurance is more important than you realize. Take a moment to think about your personal financial situation. Do you own a home?Â Do you have children?Â Have you been saving for retirement? Can your family survive financially without your income? If you answered “no” to any of these questions, you’re like many other Americans. Tracy-Driscoll wants to walk you through a few of the most common myths on life insurance, and why you, and many other individuals put it off. Did you know that you could insure your life for about the same amount you spend on a daily cup of coffee, or monthly cable bill? As an agent Tracy-Driscoll works with a number of companies to ensure that our customers are getting the right life insurance coverage at an affordable rate. We will work with you one-on-one to determine the amount of coverage you need and the easiest way to purchase it, many times without any medical exams! Some people think they are saving money by waiting to purchase a life insurance policy. Yet, did you know that most policies allow you to lock in your premium, which would allow you take advantage of lower rates available at younger age? Unfortunately, rates will increase as you age; and in some instances you might become insurable at an older age. 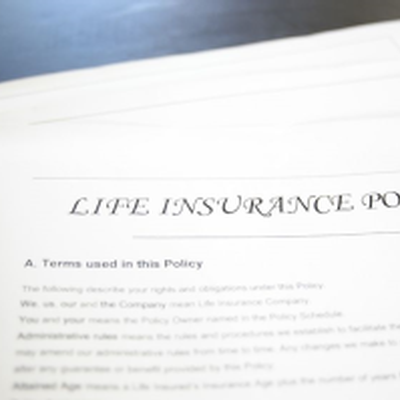 Did you know that your life insurance policy can be used to plan for final expenses? Many believe that they can afford these expenses on their own, but funeral costs, burial costs, and medical bills can all add up to a hefty amount. You don’t want to place this large potential burden on your loved ones. Tracy-Driscoll’s licensed and expert agents are ready to help you find the best life insurance policy for you and your family.